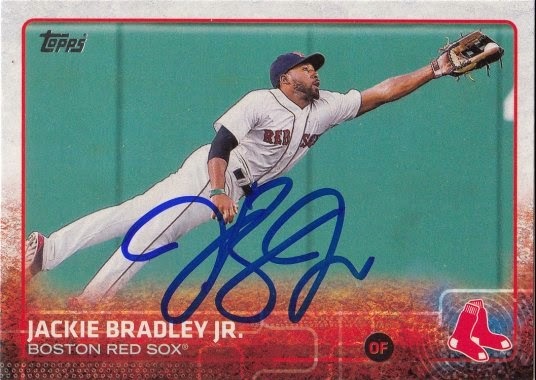 Daily Autograph: Jackie Bradley, Jr. I met him at Bright House Field in Clearwater, Florida in 2015, when the Boston Red Sox came to play the Philadelphia Phillies in a spring training game. Jackie signed a 2015 Topps card #314.